What is this guide about? The purpose of this guide is to take you through the intricacies of the different types of animation styles and techniques. It also shows you what path you should take, and what does that path entails, in order to become an animator based on the type you choose. 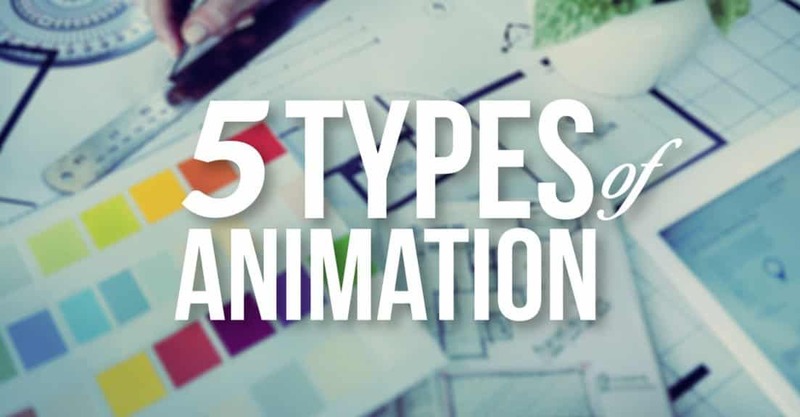 This guide is not about leaning how to animate, but instead it breaks down the five different types (or genres) of animation available to you, and what you’ll need to start animating. Best software, best schools, and more. I hope that reading this will push you to take your first step to pursuing your dream of making animation. No more excuses. All you need to know is right here. Traditional animation, sometimes referred to as cel animation, is one of the older forms of animation, in it the animator draws every frame to create the animation sequence. Just like they used to do in the old days of Disney. If you’ve ever had one of those flip-books when you were a kid, you’ll know what I mean. Sequential drawings screened quickly one after another create the illusion of movement. There’s always room out there for the hand-drawn image. I personally like the imperfection of hand drawing as opposed to the slick look of computer animation. In traditional animation, animators draw images on a transparent piece of paper fitted on a peg using a colored pencil, one frame at the time. Animators usually test animations with very rough drawings to see how many frames they would need for the action to work. 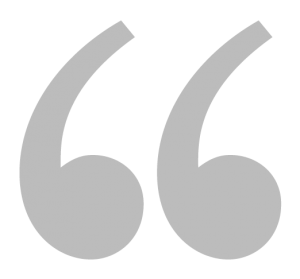 The animation process of traditional animation can be lengthy and costly. Once the clean-up and the in-between drawings are complete, the production would move on to photographing each individual frame. Today, though, traditional animation can be done on a computer using a tablet, and does not require actual photography of individual frames. The history of animation can be stretched as far back as 5000 BC, if you are lenient on the techniques of the art form, found on a pottery bowl in Iran depicting a goat leaping. The techniques of animation that we are more familiar with, however, first appeared in 1650 as The Magic Lantern, by the Venetian inventor Giovanni Fontana (whether or not he truly is the inventor is still highly debated). A simple lantern with a strip of animation sliding past a crude lens, illuminated by a single candle, was humankind’s first introduction to projection. It was primarily used to scare people with images of devilish creatures running on the wall, and generally play on people’s superstitions. Many more inventions came along, such as the Phenakistoscope and Zoetrope, but the first projection of animation on a screen came in 1877 with the Praxinoscope, invented by the French science teacher Charles-Émile Reynaud. He then later invented the Théâtre Optique in 1888, which he used to stage the first public screening of animation at the Musée Grévin in Paris in 1892. There he screened the animated short Pauvre Pierrot, which is notable for being the first time film perforations was used, and also for having the animation drawn directly on the frames instead of being photographed. The first film recorded on a filmstrip was made in 1900, which included animated sequences where J. Stuart Blackton draws a man on an aisle holding a bottle of wine, and the man grabbing the bottle. Blackton followed it up five years later with the Humorous Phases of Funny Faces, which cemented J.Stuart Blackton as the forefather of American animation. Stepping to France in 1908, we saw the world’s first fully animated film, made by the French artist Émile Cohl. The film was called Fantasmagorie, which contained stick figures encountering various inanimate objects. As the 1910’s rolled around, studio produced animations came into fruition with the newspaper cartoonist Winsor McCay, who directed several animated shorts. During the 1910’s, animations we’re called ‘Cartoons’. They we’re mainly produced for cinemas as pre-show attractions, to be screened before the feature film. John Randolph Bray and Earl Hurd were the most successful animation producers of the decade, and were responsible for patenting the cell animation process, which would later dominate the animation industry for most of the century. Nowadays, traditional animation is being done mostly on computers by using a tablet (such as the Wacom Cintiq.) It is usually animated on 12 frames per second, with occasional faster actions animated on 24 frames per second. A french animation software, TVPaint is the all-in-one 2D animation software you’ll ever need. It’s definitely more robust and complex than Photoshop, but it’s also much pricier. This software is for professional animators and studios. Toon Boom offers a user friendly set of animation programs that has advanced rigging systems, effects and camera tools. It is vector based, but the more advanced version also has the option for bitmap drawing. They offer different packages for different prices. The packages are Harmony Essentials, Harmony Advanced, and Harmony Premium. For hobbyists animators I would suggest the Essentials package which is not very expensive. Photoshop is often overlooked when considering an animation software, but in reality its powerful drawing capabilities makes it a great choices for frame by frame Disney-style animation. Photoshop’s timeline functionality lets you animate by drawing frame by frame, using onion skinning, and is incredibly robust. Learn to animate with the industry leader in 2D frame-by-frame animation. TVPaint is a high-end professional animation software, focused on traditional hand-drawn animation style. We’re talking old-school Disney/Ghibli quality. I’ve brought in an amazing 2D animator to take you through this sophisticated program, and I truly believe he created the best TVpaint course out there. 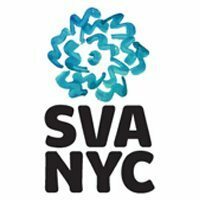 I’ve designed this course to be tailored specifically for people who want to get into 2D animation in the most professional way. Toon Boom Harmony is an incredibly robust professional-level animation software, and can do pretty much everything in the realm of 2D animation. Anything from stick figures to Disney-level results. I’ve brought in an amazing 2D animator to take you through this amazing journey, and I truly believe he created one of the best animation courses out there. 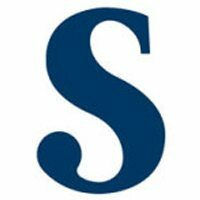 School information: Sheridan College was founded in 1967 as The School of Graphic Design at a converted public school until it was eventually moved. The Canadian animation industry was virtually non-existent during the 60’s and 70’s, but president Porter decided to start a course in classical animation at the college in 1968 in hopes of getting trained animators. School information: Founded by the Parisian Chamber of Commerce and Industry in 1964, but is best known for the Cinema Department of Animation, which was founded by Pierre Ayma in 1974 when the first Asterix and Obelix feature film was being produced by Studio Idefix. The studio didn’t have enough animators for the project, so they asked Gobelins to start an animation training program. 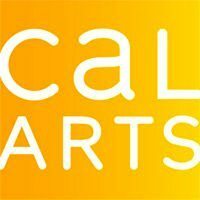 School information: CalArts was founded in 1961 by Walt Disney, when Chouinard Art Institute and the Los Angeles Conservatory of Music merged together due to financial difficulties. Nelbert Chouinard, founder of the Chouinard Art Institute, started a professional relationship with Walt Disney in 1929, and agreed to train animators for him on a pay-later basis as Disney was struggling financially. How to make an animated short film from start to finish. The course comes bundled with any of our other courses. This style has become very popular in the last decade due to the accessibility of the technology and the growth of online video. Flash is cheap and easy to use, as are other vector-based animation programs. Animation is different from other parts. Its language is the language of caricature. Our most difficult job was to develop the cartoon’s unnatural but seemingly natural anatomy for humans and animals. 2D animation is the term often used when referring to traditional hand-drawn animation, but it can also refer to computer vector animations that adopts the techniques of traditional animation. Vector-based animations, meaning computer generated 2D animations, uses the exact same techniques as traditional animation, but benefits from the lack of physical objects needed to make traditional 2D animations, as well as the ability to use computer interpolation to same time. In the late 90’s, due to bandwidth restrictions, many artists started using Flash to distribute short (and very limited) animations on the web, which were usually very small in size. That limitation gave Flash the mass appeal which made it such a huge success among independent artists and animators. Flash really skyrocketed in 2005 when it was purchased by Adobe. When YouTube started growing, it completely exploded, and today you can find thousands of Flash animations there. The reason 2D was put in a separate category is that in addition to the option of animating frame by frame, an animator has the option of creating rigs for the characters and then move the body parts individually instead of drawing the character over and over. These flexibilities provides beginners with more options when approaching animation, especially if drawing isn’t their strong suit. Traditional animation, on the other hand, requires very strong drawing skills. 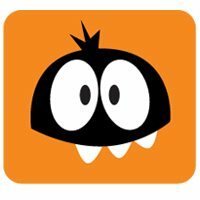 Probably the most popular 2D animation software out there. Animate has a long lineage of animation making, dating back to the early days of internet video publishing. It is vector based, very intuitive to use (as are most of Adobe’s programs) and relatively inexpensive. It’s great for getting started with 2D animation, and though it’s not meant for professional animation production (unlike Toon Boom Harmony) you can still get amazing results with it. An interesting choice for 2D animation. After effects gives you great control when creating rigs for 2D, and using the puppet tool is very convenient and intuitive. I find it to be a great choice if you’re already comfortable with the Adobe environment, but that’s a matter of preference. Since it’s an editing software it’s great to be able to edit and color correct in the same place you animate, and while it’s not the traditional way the pipeline works, it could save some time. There’s enough in this course for the person who wants to make cool short animations for YouTube, as well as for the working professional who wants to get hired as a 2D animator. 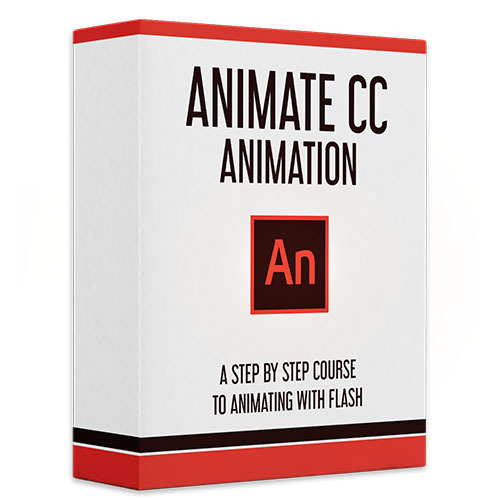 Animate CC is a very easy software to learn, though it takes time to master. I’ve brought in an amazing 2D animator to take you through the complete journey of making a full animated shot using only Animate CC. We’ll show you how simple it is to get amazing results with Animate. There’s enough in this course for the person who wants to make cool short animations for YouTube, as well as for someone who wants to get to know After Effects, and learn what amazing things can be done in it. After Effects is simple to learn, though hard to master. I’ve been using After Effects almost daily for the past 7 years, and I’ve done anything from animated logos, animated web series, to compositing and visual effects. This course is a great place to start your path to animation, as well as learn a highly profitable skill. School information: Founded in 1979 by Jon Phelps in Ohio, before the University was moved to Orlando in 1980, under the name of Full Sail Recording Workshop. Focused on video and film production, but added in animation when the University moved to Orange County in 1989. The University started offering online degree programs in 2007. School information: Founded in 2000 as an online tutoring program, focusing on giving lessons via streaming. 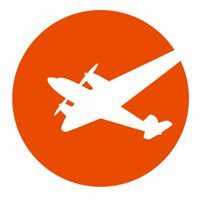 Currently has 18 tutors from around the world. 3D animation works in a completely different way than traditional animation. They both require an understanding of the same principles of movement and composition, but the technical skill set is very different for each task. while traditional animation requires you to be an amazing draftsman, computer animation doesn’t. 3D animation is more similar to playing with puppets rather than drawing. 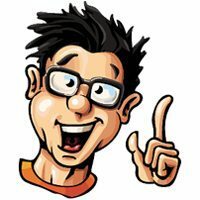 Computers don’t create computer animation any more than a pencil creates pencil animation. What creates computer animation is the artist. 3D animation, also referred to as CGI, or just CG, is made by generating images using computers. That series of images are the frames of an animated shot. The animation techniques of 3D animation has a lot of similarities with stop-motion animation, as they both deal with animating and posing models, and still conforms to the frame-by-frame approach of 2D animation, but it is a lot more controllable since it’s in a digital work-space. Instead of drawn or constructed with clay, characters in 3D animation are digitally modeled in the program, and then fitted with a ‘skeleton’ that allows animators to move the models. Animation is done by posing the models on certain key frames, after which the computer will calculate and perform an interpolation between those frames to create movement. When the modeling and/or animation is complete, the computer will render each frame individually, which can be very time-consuming, depending on the quality of the images and the quantity of polygons in the scene. a 3D animator will spend most of their time looking at curves that represent the movement of different body parts over time. Another big difference with 3D animation is that unlike traditional animation, the character’s body parts are always present and should be taken to consideration. When animating in 2D, the character has to be drawn again every frame. When the character is viewed from the side, half of its body isn’t shown and thus isn’t drawn. It technically doesn’t exist. It’s drawn on a flat page and there isn’t really more of the character other than what the animator draws. With 3D though, the character’s body parts always exist in the shot. Even when one hand isn’t visible, it’s still there. That adds some work for the animator, since we need to be aware of the entire character at all times. The last major difference with 3D animation is the frame rate. Traditional animators usually work on 2’s which means they draw a new drawing every 2 frames, and thus having one drawing last for 2 frames. With 3D animation, however, the motion is always smooth (animated on 1’s), except for stylized pieces which intentionally try to look different. Even when the character is standing still there should always be some sign of life or gentle movement to keep the illusion of life, this is something 2D animation can get away with much more easily than 3D animation. 3D animation has definitely revolutionized how the animation industry looks today, and it all started in 1995 with Toy Story, directed by John Lassetter. Computer generated animation wasn’t completely new at the time, since it had already been used in TV commercials, movies and computer games, but Toy Story set the bar by being the first feature-length computer animated film, re-imagining the animation industry. 3D animation also lead to studios trying to achieve photo-realistic animations by combining high-level computer processing with advance motion-capture. This has led to films such as The Lord of the Rings trilogy and Planet of the Apes. Maya is the industry standard 3D software, used in most studios. Maya, Softimage (which was discontinued) and 3D Max all belong to Autodesk and work quite similarly. Choosing one is a matter of personal preference. Cinema 4D is a motion graphics artist’s best friend. It is a 3D program for the After Effects user. Very intuitive, and after a the release of Cineware it works directly with After Effects without the need to render first. This would not be my first choice for serious 3D film production, since it is designed from the ground up with motion graphics in mind, but it is an amazing and quite versatile program. 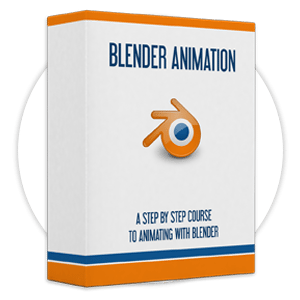 Blender is an open source, free 3D software. From Blender: Blender provides a broad spectrum of modeling, texturing, lighting, animation and video post-processing functionality in one package. Through its open architecture, Blender provides cross-platform interoperability, extensibility, an incredibly small footprint, and a tightly integrated workflow. Whether this is your first time animating with a 3D software, or if you are transitioning from a different one (like Maya or Softimage), this course will take you through all the necessary tools so you can start animating with the best free 3D program straight away. Maya is the industry standard for 3D animation, so if you’re planning on getting into the animation industry you need to be familiar with it. While Maya is extremely complex and can do many different things, I’ve structured this course to only focus on what you need to know to get straight into animation. 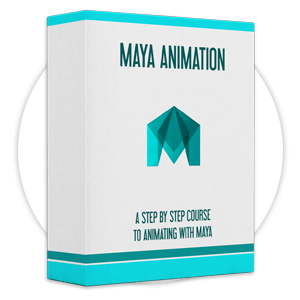 Even if you’re intimidated by it, Maya can be really fun to use, and this course could be a great way to fast-track your animation career. School information: Founded in 1947 by Silas H. Rhodes and Burne Hogarth as the Cartoonist and Illustrators School, and then renamed in 1956. Part of the Association of Independent Colleges of Art and Design as one of 36 leading art colleges in the United States. The school offered its first degree in 1972, and it’s first master’s degree in 1983 in Fine Arts for painting, drawing and sculpture. 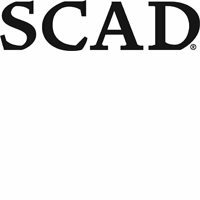 School information: Founded in Sarasota, Florida, by Dr. Ludd M. Spivey as an art school in 1931, and as a branch of the Southern College in Orlando. Became an independent college in 1933. Qualified as a full degree-granting institution in 1971. Ringling College is named after John Ringling, a circus magnate, who was interested in funding an art college, but wasn’t interested in Southern College as he wanted to establish his own at his wife’s museum. However, he lost his museum and residence in bankruptcy, and it was all given to the state just before he died. Ringling’s nephew made a deal with Southern College to open an art college in Sarasota, and it was named School of Fine and Applied Art of the John and Mable Ringling Art Museum. School information: UCLA is a public University that was founded in 1919 as part of the University of California system, comprised of three universities in the state. The animation program was established in 1948 by William Shull, a Disney animator, as just a group of various animation classes. When Dan MacLaughlin became head of the department in 1971, he started the MFA program for animation where he worked as the sole faculty member for years. 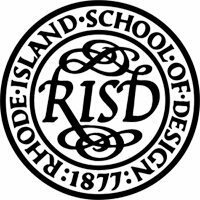 School information: RISD was founded by the group The Centennial Women in 1877. The Centennial Women was a group formed to exhibit creations made by women from design schools, patents from female entrepreneurs, and books written exclusively by women, at the 1876 Centennial Exposition. 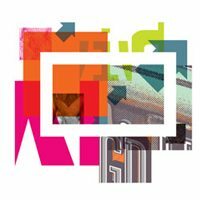 The group raised $10,000, and by the end of the expo had over $1,675 left, which they decided to invest into founding Rhode Island School of Design. School information: Founded in 1978 by Paula S. Wallace with her husband and parents, taking out a $200,000 loan to build the first educational building, by renovating the Savannah Volunteer Guard Armory. The university first opened in 1979 with only 71 students. Currently the University has over 11,000 students. Location: Savannah, Georgia, USA. Atlanta, Georgia, USA. Hong Kong, Guangdong, China. Lacoste, Vaucluse, France. 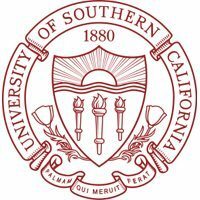 School information: USC was founded in 1880 by judge Robert M. Widney, who managed to acquire donations from Ozro Childs, John Gately Downey, and Isaias W. Hellman; three very influential figures at the time. Originally operated in affiliation with the Methodist Church, but became officially secular in 1952. It has the largest amount of international students in the United States, and enrolls over 18,000 domestic/international students each year. Has its own IMAX theater and research lab, which opened this year. Notable graduate film: Ladies Knight (Joe Rothenberg, 2012) Nominated Best Animated Student Short at Annie Awards. School information: Founded in 2005 by Bobby Beck, Shawn Kelly, and Carlos Baena, the last two employed as animators at Industrial Light and Magic. Tuition cost: $18,928 for Full 18 Month Program. While still considered a form of animation, motion graphics is quite different from the other types of animation. Unlike the other types on our list it is not character or story driven. It’s the art of creatively moving graphic elements or texts, usually for commercial or promotional purposes. Think animated logos, explainer videos, app commercials, television promos or even film opening titles. The skills for motion graphics don’t necessarily translate to the other types of animation, since they don’t require knowledge of body mechanics or acting, but they do have some attributes in common such as understanding good composition and the all important camera motion. The process of creating Motion Graphics depends on the programs used, since video editing softwares often have different UI or settings, but the idea is the same. Motion Graphics usually involves animating images, texts or video clips using key framing that are tweened to make a smooth motion between frames. The term Motion Graphics came along computer based video editing, as programs like Adobe After Effects and Apple Motion made editing images a lot easier and faster. Previously, before the advent of computer editing, it was a very time-consuming process, which limited it to high-budget productions only. Today, it is highly popular in ommercials, news shows, sporting event and online videos. After effects is the most common software for motion graphics. It is the software that streamlined motion graphics and made it so much easier to create. Its integration with Cinema4D made it the ultimate tool to make the best looking videos (with or without 3D) for any commercial use. Stop motion is done by taking a photo of an object, and then moving it just a little bit and taking another photo. The process is repeated and when the photos are played back one after another they give the illusion of movement. This is similar to traditional animation but it uses real life materials instead of drawings. I love all forms of animation, but there is something unique and special to stop-motion: it’s more real and the set is lit like a set. But I think it’s also a kind of lonely and dark thing to want to do. Stop-Motion animation can be referred to any animation that uses objects that are photographed in a sequence to create the illusion of movement. The process of stop-motion animation is very long, as each object has to be carefully moved inch by inch, while it’s being photographed every frame, to create a fluid sequence of animation. One of the most popular stop-motion form is Claymation. Working with clay or play-doh characters that can easily be manipulated for animation. Advanced claymation (such as The Neverhood or Armikrog) uses metal skeletons on which the clay is then molded for more sturdy rigs. Some animators use regular Puppets instead of clay ones, usually also built with some sort of skeleton rig. The faces of the characters can be replaced based on the expression, or controlled within the rig. Another popular form of stop-motion is cut-out. Using construction paper or cardboard characters and placing them on paper while shooting the animation from above (that’s how South Park was made before they switched to computers). The cardboard is then moved a little each frame to create the illusion of movement. Similar to cutout animation, silhouette animation uses cardboard or some kind of flat material, but the objects are all black and the shot is depicted with silhouettes only. This is one of the oldest forms of stop motion and is rarely used today. Some use action figures or lego characters for animation. This genre is very popular on YouTube with many channels dedicated to creating funny skits with Lego characters. Robot Chicken is a great example of that. They use famous action figures to make fun of pop culture. Pixelation is a form of stop motion that uses real people and real environments to create unreal videos. It uses the stop motion method of taking a still photo, moving things around, and then taking another photo, but the subject matter is usually real people instead of puppets. Stop-Motion animation was very often used as special effects before the introduction of CGI animation, and as such has a very long history in both the animation and film industry, starting from The Humpty Dumpty Circus (1887, Blackton). One of the earliest of clay animations was Modelling Extraordinary (1912), and the first female animator was a stop-motion artist named Helena Smith Dayton, who made a clay animated short based on Romeo and Juliet in 1917. Another technique, which came about in the 80’s, was Go Motion. This technique involved programming a computer to move the models for the animators before each frame was photographed. It was used when creating visual effects for RoboCop (1987, Verhoven) and The Empire Strikes Back (1980, Kershner). It was a lot more complicated than doing it by hand, but the result was a more realistic-looking animation. If you’re planning on making a professional stop motion video, Dragonframe is the best tool for the job. Its comprehensive software can be used with many different attachments, such as a device that controls the camera, lights and even pull focus. It provides the user complete control over the lighting of the shot with an option to program the dimming of the different lights over a period of time, and it comes with a keypad controller for easy control of the photo taking process, as well as flipping between frames. Dragonframe is the industry standard for stop-motion animation, and was used on films such as Kubo and the Two Strings and Shaun the Sheep. If you’re looking to spend a bit less, and make stop motion more of a hobby, this software is just for you. It’s not expensive and very user friendly. It does have some pro features though, such as DSLR support, onion skinning, using an iPad or iPhone as a remote and even chroma keying (using green screen). Congrats for getting through this guide! You took the first step to become an animator, and that’s amazing. 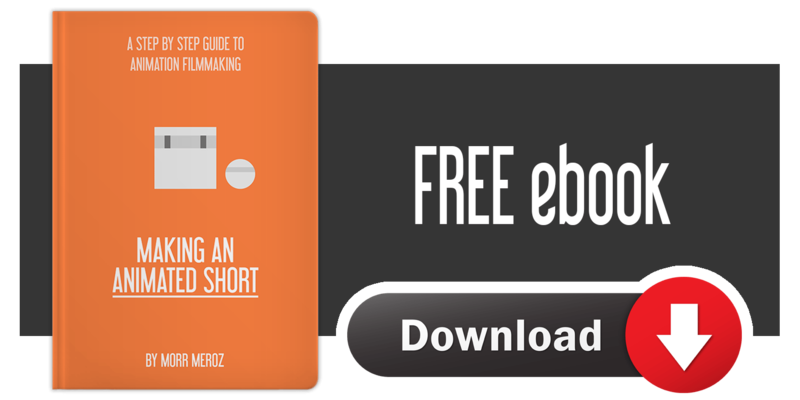 BUT before you leave, if you want to take it a another step further, check out our ebook Animation For Beginners. It is a step-by-step guide to becoming an animator (even if you’ve never animated before). It doesn’t matter if you can’t draw, or that you’ve never used an animation software before, Animation For Beginners will take you through the journey of becoming a professional animator. From making your demo reel, finding a job in the animation industry and all the way to making your first animated short film.